The Deluxe Magic Loom has the 2 outside columns of 11 pegs, and the middle column with 10 pegs for a total of 32 pegs. The Loom is molded from a single piece of plastic with the columns stagger with one another. 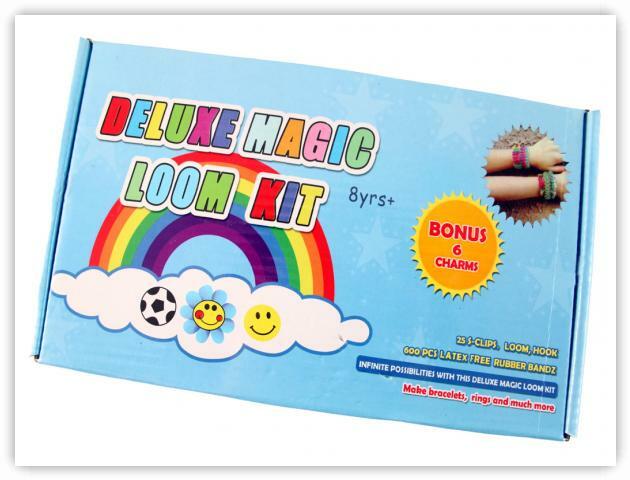 The Deluxe Magic Loom is available at Macy's and online at Amazon.com.